Ravenna scored 28 unanswered points in a 3rd quarter that included a 109 minute lightning delay. The Ravens 31-6 win is the first win against Louisville since 1929. 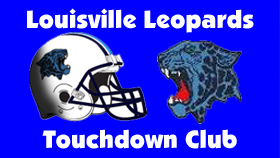 An In-Depth preview of the Louisville Leopards at Ravenna Ravens Week 3 High School Football Matchup for this Friday. The Leopards fought the butterflies of playing their first game ever at the new stadium, but a Leps Rally gave them a last second victory.